Tulsi plant (ocimum tenuiflorum) ; This plant has a greatest value in hindu culture. This plant has antibacterial action , it boosts the immune system . It has antioxidant properties and can also be used as pain killers. This plant can be used in various forms but mostly its leaves are used to make tea , a herbal tea . 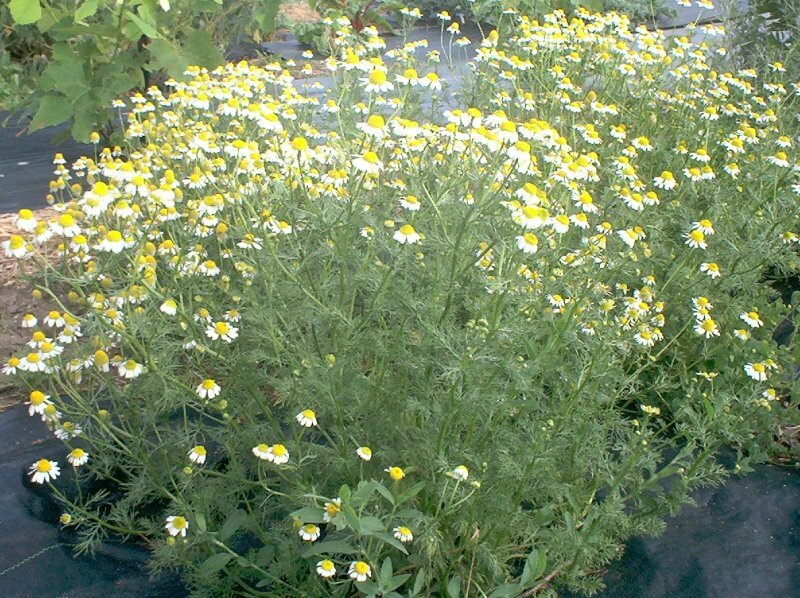 Chamomille (matricaria recutita) ; this plant helps to soothen the digestion and colic . It is also good for skin irritations. It helps to ease tension. Peppermint (mentha piperita) ; well, most of us are already familiar with peppermint . It is widely used in various products like gums, candies and many more. This plant helps in digestion. It helps to remove gas from the digestive system and can be used to reduce headaches. Sage (salvia officinalis) ; this plant is good for coughs . It can be used for colds , congestion and hot flushes. Rosemary (rosemarinus officinalis) ; It helps to improve mood , sweetens breath . It also helps to increase memory and concentration. Echinacea ; it boosts the immune system . It can be used during colds and flu. Lavender (lavandula) ; this plant has antiseptic properties so it can be applied to cuts and bruises. It eases pain and helps to relax. Marigold (calendula officinalis) ; it is good for sunburns , acne . It helps in ulcer and can be used during all kinds of digestive problems. Johnny jump-up (viola tricolor ) ; it loosens phlegm, can be used for eczema and skin rashes. This plant has antiinflammatory action. Lemon balm (melissa officinalis) ; it soothes nervous system. Removes anxiety , helps in sleeping and speeds the healing of cold sores. Calendula (calendulla officinalis) ; it has antiinflammatory action as well as antiseptic properties. So it can be used to treat wounds. Comfrey leaves (symphytum) ; it can be used to treat bruises and sprains. st. johns warts (hypericum perforatum) ; it promotes wound healing as well as works as antideprassant . Stinging neetles (urtica diocia) ; it has antiinflammatory properties. It is used for treatment of arthiritis , allergies . It is used as food in many places as a soup mostly. It is highly nutritious .